1 x 2 scrap pine routed down the middle to accept 1/4" wood stained wood lath for the trees. 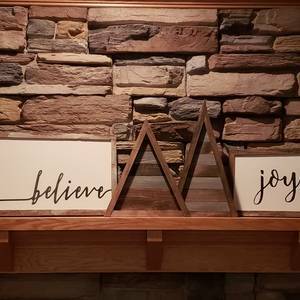 The signs are made from painted 1/4" mdf with barnwood frames. Lettering is traced from word doc.